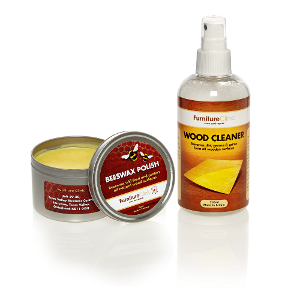 Product description: Leather colour restorer and recolouring balm. Rejuvenates old and worn leather furniture and car inteiror to restore the colour and aspect of leather.Leather restorer and recolouring balm. 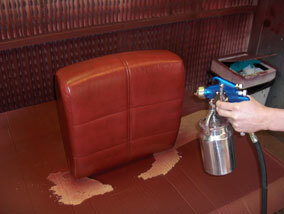 Rejuvinates old and worn leather furniture and car interior to restore the colour and aspect of leather. 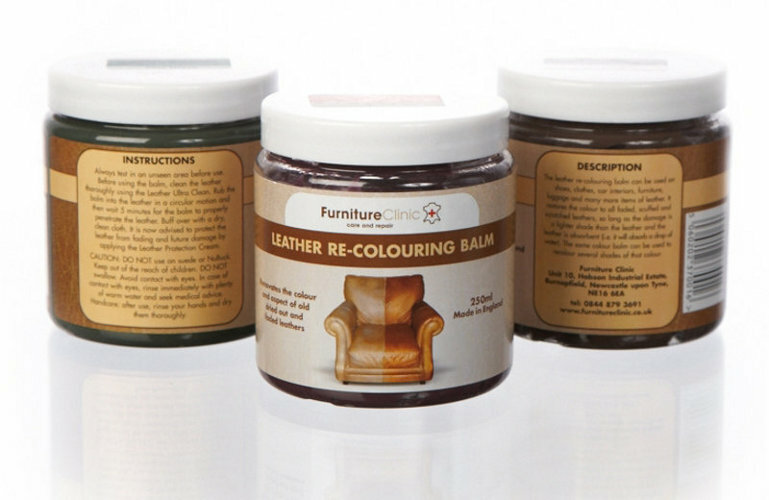 The Leather Re-Colouring Balm renovates the colour and aspect of all absorbent leather items both old and new. 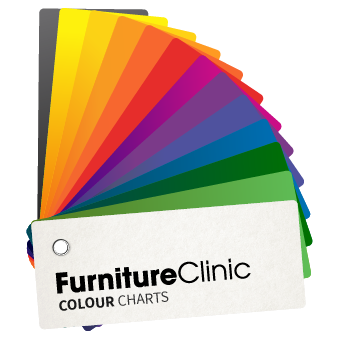 There are 21 colours formulated for use on leather from a dark to light shade. 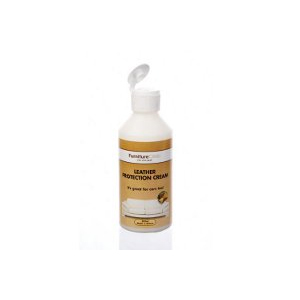 It works great for restoring colour to areas that have been exposed to sunlight or direct heat and is ideal for colouring cat scratches and re-colouring dried out and faded areas. The Leather Re-Colouring Balm absorbs into your leather so will not rub off on to clothes. Only one application is necessary. 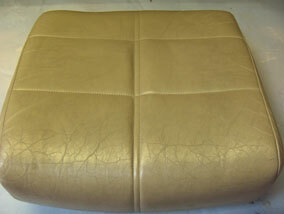 With use, the leather will fade again but this can be reduced by using the Leather Protection Cream. The Leather Re-Colouring Balm is generally re-applied once every three years. 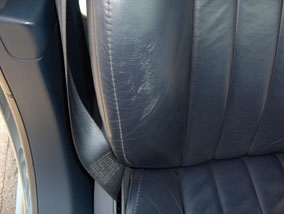 NOTE: For scratches, the re-colouring balm will only work if the scratch has gone to a lighter colour than the leather, if the scratch is darker you will need a Complete leather Repair Kit. NOTE: For lighter patches, the Leather Re-Colouring Balm will only work if it is able to soak into your leather – to test this, put a tiny drop of water onto the damaged area and see if it soaks in. 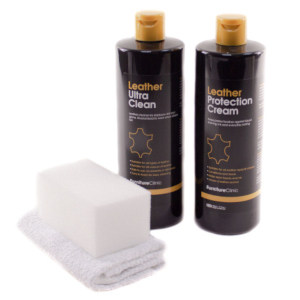 If the leather isn’t absorbent, you will need a Complete leather Repair Kit (for small areas) or a Leather Colourant Kit (for larger areas). A large area can be defined as anything larger than a tennis ball. 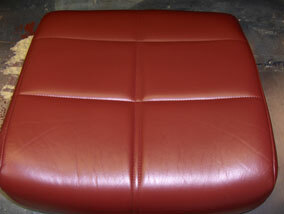 Completely restore colour to a leather three piece suite! The product is specially treated to resist bacterial growth and will safely last 3 years if stored in a cool cupboard with the lid fastened. 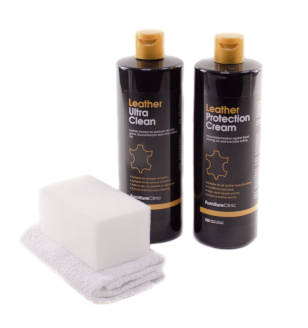 Clean the leather first before applying the balm, for best results use Leather Ultra Clean - This is because Ultra Clean deep cleans the leather to remove all dirt, but also opens up the pores of the leather so the Re-Colouring Balm will take to the leather in a better fashion. 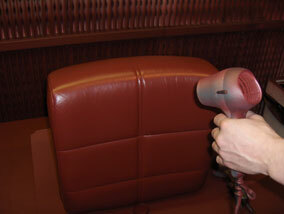 After buffing, the leather becomes 100% colourfast. 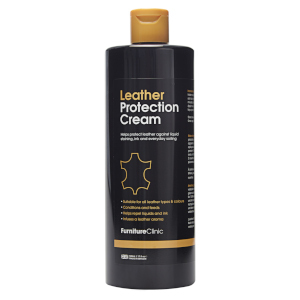 For thorough protection and longevity of your leather, we recommend applying the Leather Protection Cream, this will help to reduce future fading. the Dark Brown Leather Re-Colouring Balm. NOTE: Each colour as you can see is split into three shades, this is to indicate that each colour balm works on those different shades of the colour, i.e. from a light to dark shade. So the more balm you apply, the darker the leather becomes, this is why you are able to achieve varying shades of a colour. 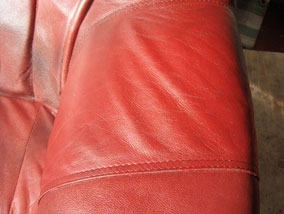 Used Leather Re-Colouring Balm on our 16 year old red leather sofa which was scuffed and scratched.Very impressed it now looks like new !!! 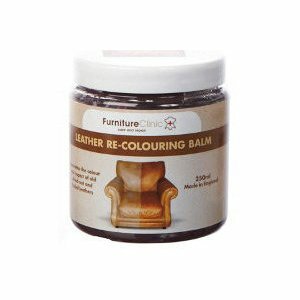 Bought this for my dining chairs which I've had for years, suddenly they started cracking and peeling in places, this colouring balm was great! My chairs have now got a new lease of life. 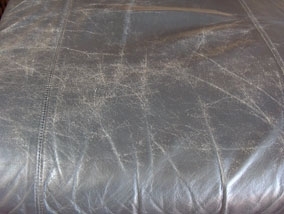 I bought this product hoping to rescue our leather sofas following 8 years of neglect. I used the product very liberally as the leather was in desperate need of some love and care. What an amazing transformation! I couldn't be more impressed and I have ordered 2 more pots so that I always have it on hand for future use. I would strongly recommend this product with no hesitation. I wanted to refresh some vintage 1960s/1970s Danish leather sofas without losing the appealing look of older, worn-in leather. I did not want the leather to look brand-new. This product allowed me to apply only where and as much as I wanted, thus minimizing the worst scratches and scuffs while still keeping a vintage look. Perfect! 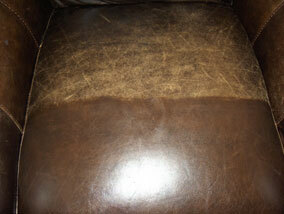 used on a chocolate brown settee with kitten scratches, has made it look like new again excellent. 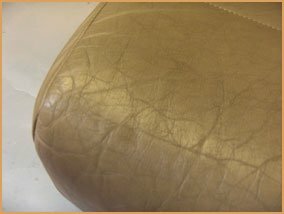 I had 3 very faded leather sofas and I used the tan re-colouring balm on just one of the seats first of all with instant results, just brilliant! 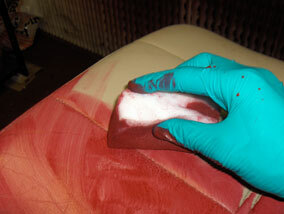 So easy to use and I have re-coloured the seat and arms of the 2 large and small sofa with plenty of the balm left. I would definitely recommend this product, my sofas look amazing. 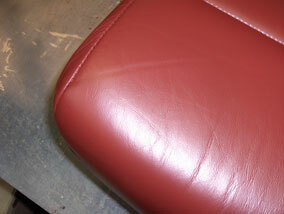 I was planning to replace my leather couch and loveseat because of unsightly cracking and fading. The set was comfortable but boy did it look "well lived in." This product had everything I was looking for: it was inexpensive, easy to use, and had quick results. Now, my furniture looks really good; the cracking and faded color have disappeared. The result is so remarkable that I've decided to keep my set. Thank you! I bought this product to use on my antique leather sofa. 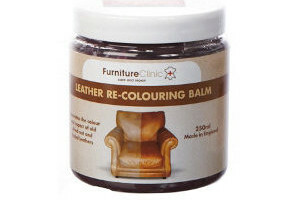 On contacting furniture clinic for colour advice I was informed that this product is not generally the recommended one for this type of leather. However when I explained that I wanted to see if it would restore scuffs and scratches where the antique finish had rubbed away completely I was offered the chance to return product for refund if not successful. Not only did it leave us amazed the sofa looks like we had it professionally restored. So simple and easy to use cannot recommend both product and company highly enough. 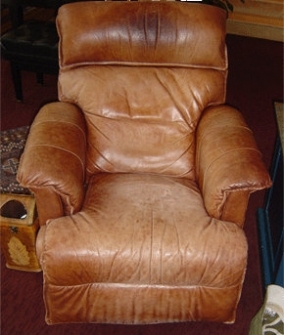 I have two 40 year old full thickness very dark brown leather settees that should ‘see me out’. 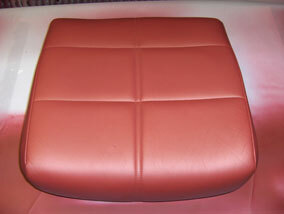 Although the leather was fine, the colour on the seat cushions was badly faded/scratched. They had already been reconditioned by the so called experts but to little effect. I thought I would have to live with it but decided to give this product a try. I was amazed at the results. Even if I have to re-do this occasionally, £20 is a small price to pay considering what the professionals charged me. 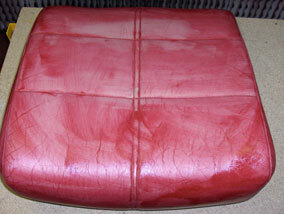 If I can find a good upholsterer to re-plump the innards, the settees will almost look like they did 40 years ago. I don’t know if this product would work as well in the other, lighter, colours but I am well pleased with the results I got. Next time, however, I think I would mix a bit of the black in with the dark brown (I assume that’s possible). I purchased this to restore a modern leather suite where it had faded in areas where you sit and had a few scratches from 8yrs of use. I was a little sceptical but thought I would give it a go. I ordered the dark brown and it was a perfect match and absolutely fantastic, I carried out the process twice and still have plenty left from my one pot purchase, my suite now looks as new which has saved me hundreds of pounds by not having to purchase a new one. I received my package in good time...and set to work. 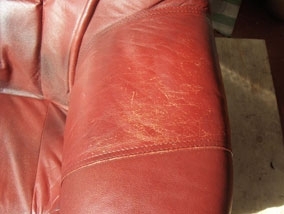 The leather cleaner smelt pungent, and sure enough cleaned up my leather sofa quickly..I then applied a tan balm - and our sofa was transformed! Brought back to life..in just a short time. I am most impressed with the service, and with the telephone manner of the sales staff, who offered good advice, and declined to sell me something they thought inappropriate for my needs. They were right, and I am grateful. Unusual to have such good service these days. Used it for some very worn old heavy horse harness, bridles and saddles. They came up fantastic. Certainly recommended for horse leather work. 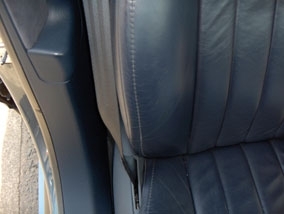 Did a brilliant job on the worn edges on my BMW seats as well!! What wonderful products, and advice from this firm. I have used the repair kit, and Re-Colouring balm. Highly recommend this brilliant web site. What a fantastic product. I chose the medium brown and my tired old sofas look like new. It was so easy to use. Be prepared to spend a little time and elbow grease, but it is worth it - much cheaper than buying a new suite! I must also mention the excellent customer service I received from informal chats and advice on line to speedy delivery. Thank you so much. I would certainly recommend the product and the Company to all my friends. This product is brilliant! 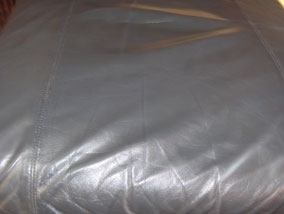 Acquired a good quality leather sofa which was a good few years old. It was well worn over the years and looked very tired. More and less fit for the skip! After using Furniture clinic stain remover and the cleaning moose. I opted next for the balm restorer. Comes with simple to follow instructions. After applying the product twice over on a two seater sofa, I still have quite abit of the balm left. I cannot believe the change in the sofa! I can honestly say for the money and what it does its superb. This sofa had light surface scratches all over, which has been covered up by this product. Also lost / faded its colour badly over the years, this has product has definitely given its colour back and more! A product that really does work! The Sofa has a new lease of life now! Thanks Furniture Clinic! I bought some of the Tan colour balm to see if I could restore some badly sun-bleached areas of my leather chairs and settee. The product arrived very quickly and has worked really well - bringing back the colour in a way that blends perfectly with the age of the furniture without looking as if part of it is new and part of it is older. 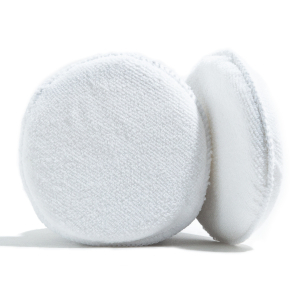 The only thing I would mention is that it takes quite a few goes to remove excess balm, which doesn't dry on its own for several hours - so make sure you have plenty of cloths to hand. I found that the colour restorer was brilliant at covering up to odd cat scratch, then used the protector as normal, then hey presto..as good as new. Would definitely recommend their products. I ordered the mid brown leather recolouring balm which was a perfect match for two old chesterfield style sofas I had bought cheaply. They are now transformed from faded dry sad looking pieces of furniture into two fabulous sofas. I wish I could post a photo of the before and after. needless to say a few of my friends have now been pointed in the direction of this website. 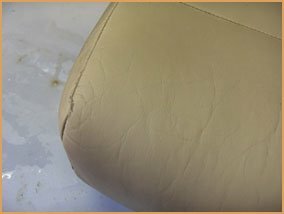 I stumbled across Furniture Clinic when looking for something to repair a cracked leather sofa. The website was very informative both in terms of product description and the 'how to' videos. My first purchase was the re-colour cream, which I tried on a small area with good results. 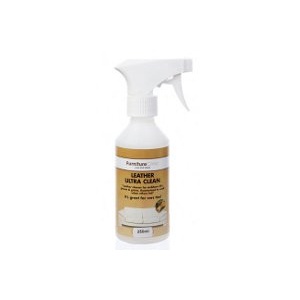 I then order the cleaning mouse and leather care cream. 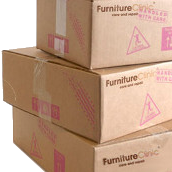 All of these products arrived in good time and very securely packaged. 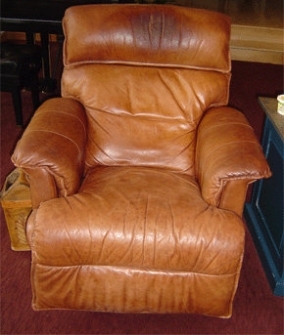 I have just completed one leather chair - cleaned, re-coloured and protection. 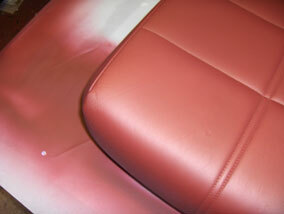 Followed the instructions to the letter sofa still very discoloured, save your money get a proffessional in.